As climbers, we know how important finger strength is. We also know how bad finger injuries can be. In terms of academic research, there are many studies regarding the statistics of finger injuries, for example Schöffl et al, (2015) analysed 836 participants with a total of 911 injuries. Findings showed finger injuries accounted for 52%, the pulley injury being the most frequent. However, there is a lack of research regarding the causation of finger injuries, which made me want to investigate further. Why do we get finger injuries? They usually happen on a pocket or a crimp hold but the question is, why? I thought about muscle imbalances. Footballers are tested for a hamstring to quadriceps muscle imbalance, as many studies show hamstring injuries occur due to them being too weak or their quads are too dominant. What if we used this theory on climbers? There were 18 climbers that participated, ranging in age (27.8 ± 7.45), years of experience (10.6 ± 6.67) and ability (v3-v8). This study included GB climbers. The participants completed a questionnaire, asking a range of questions including their history of finger injuries. The participants then had their finger flexors and extensors tested, by using a Lafayette Muscle Testing Device (Model 01165). Their arm was placed at 90 degrees with the device placed on the table, the flat attachment for the device was then pressed. This gave a reading. To make it more reliable, the same rules were applied, no thumbs were allowed and elbows must stay placed on the table. To test the finger extensors, the device was placed on the table with their arm at 90 degrees, this is when the climbers were asked to extend their fingers on the flat attachment. The results were then recorded and analysed. Of the 18 participants, a total of 15 finger injuries occurred on the left ring finger (57.7%). One study by Vigouroux et al (2008), suggested the ring and the middle finger experience greater applied forces as they were closer to their rupture threshold when tested, unlike the index and baby finger. The difference between the finger flexors and extensors were calculated. The blue bars represent the left hand and the orange bars represent the right hand. As you can see from the graph, 91.6% of people with injuries to their left hand had a greater imbalance on the left hand than their right. Equally, those with injuries on the right hand had an increased imbalance on their right hand to their left. Those participants that have never experience a finger injury (the lucky ones), had a more symmetrical imbalance. The reliability of this study however, should be questioned. Due to a lack of equipment and a short time to complete the study, I admit it is not the most reliable. Ideally, I would have preferred to use an isokinetic dynamometer machine, which would have given more accurate results. However, the results do suggest that muscle imbalances could be a causative factor of finger injuries. More studies should be carried out, possibly using an isokinetic machine, to make more accurate readings. 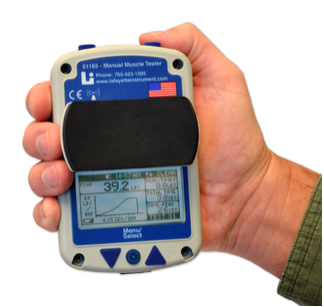 Or even so, an EMG machine could be used to address the muscle activation. This study was also only completed on 18 participants, this means a future study regarding more climbers should be done. With this in mind, a greater participant number could in fact make it possible to create a finger flexor strength to extensor strength ratio. As mentioned previously, the hamstring to quad ratio should be 50-80%. (Shin, 2008) The hamstrings are naturally weaker than the quads. This is similar to the finger extensors and flexors. If the extensors are too weak, the risk of injury increases. If this is true, then there are ways to help reduce the risk of getting those pesky finger injuries. Strengthening the finger extensors may not only help reduce the risk of finger injuries, but is believed to increase the finger flexor strength. 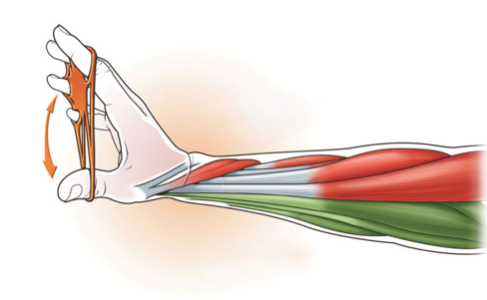 As mentioned by Neil Gresham (2016), your finger flexor strength can only reach a certain maximal potential, unless the extensor strength is increased. One great tool that is currently taking the climbing world by storm is, Power Fingers. They are resistance bands for the fingers that can be layered up for more resistance. They are becoming more and more popular. Not only will training your finger extensors lower the risk of finger injury, but may also help decrease the risk of elbow tendonitis that is becoming more frequent in climbers. ± : The numbers are the means and standard deviations, so the average age was 27 with a standard deviation of 7.45. Experience is the same but in years, average was 10 years with a standard deviation of of 6.67.